Sometimes there are situations where it would be best to slow down your data connection in order to add some additional battery life to your device. 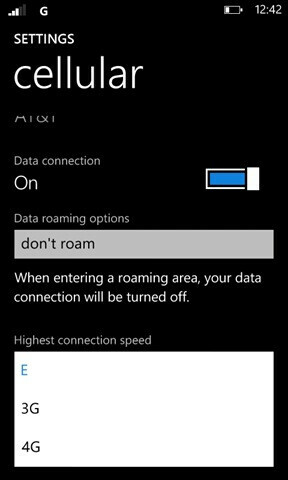 The folks over at Mobility Digest discovered a tweak that gives you the ability to choose between EDGE, 3G, or 4G data connectivity on your device – best of all, the features is already on your phone, it’s just hidden. There are a few codes that launch diagnostic apps and utilities on the Lumia 900. Apparently if you type in ##3282# it opens the Data Field Test utility. One that pops up, pressing the 3 at the bottom of the screen will allow you to tap and open up a Settings screen. Under settings, change the “Network type” from 2G or 3G only to Automatic. Tap the back button to go back one screen then select the last option, which is labeled “Toggle ENS (REBOOT).” Click “Start” and then, after a few seconds, click “Stop.” At this point the phone will reboot. After the reboot, when you go into Settings and then Cellular, you will have the ability to set your highest connection speed to Edge, 3G, or 4G. simple tweak... and the writer use tweak from south park as illustration... genious! Really nice OS, but needs so much more developer love, and so much more hardware love. I don't care what you say, more power is always a good thing. I want to see S4 LTE phones, truly at a glance information with much more dynamic tiles and notification management. 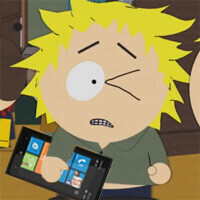 LOL Tweek holding a Lumia. I'd like to see that. Why don't manufacturers put that on as default? If you're in a 3g only area, why wouldn't you want to shut off the LTE radio to save power. My thunderbolt didn't have this on release either, and its just silly - especially since LTE is so limited in area right now. Please,does it work on samsung focus? Thanks!